NICE AND EASY: What is an 18650 battery? I would be willing to bet there are about 100 different kinds of batteries. And that’s just the common ones. I bet there are 1,000 kinds if you count all the really weird ones. But go to your local drug store and count the varieties. I bet you’ll get to 100. And yet, none of them will be an 18650 battery. That’s a pity, because the 18650 battery is one of the most common and versatile you’ll find. It powers everything from flashlights to cordless phones to Tesla’s $130,000 SUV. An 18650 battery is named because it’s 18mm wide and 65.0mm tall. Yep, they really got creative with the naming there. It looks a lot like a big AA battery. Here’s a comparison photo I found on the internet. As you see, the 18650 is almost 2.75 inches tall. Some of them are pacakged to look like consumer batteries and some are just plain grey cylinders. There is a much shallower bump on the positive end and sometimes the negative end will have tiny vent holes as you can see in this picture. The vent holes let the battery release a little gas if you overcharge it by mistake. They’re generally found in batteries intended to be installed permanently. The 18650 battery is 3.7 volts and roughly 3,500mAh capacity. A typical rechargeable AA battery is 1.5 volts and often around 1,300mAh capacity. With AA batteries that number often varies. The 18650 battery has a higher energy density and can discharge faster than most AA batteries. It’s built for more charge/discharge cycles and is the battery to choose if you’re making it non-replaceable. The higher voltage and discharge rate makes it better for things like flashlights and electric cars where you want a lot of power quickly. The thicker walls and venting mean that you can charge the battery faster and it will still be safe. Are all 18650 batteries the same? 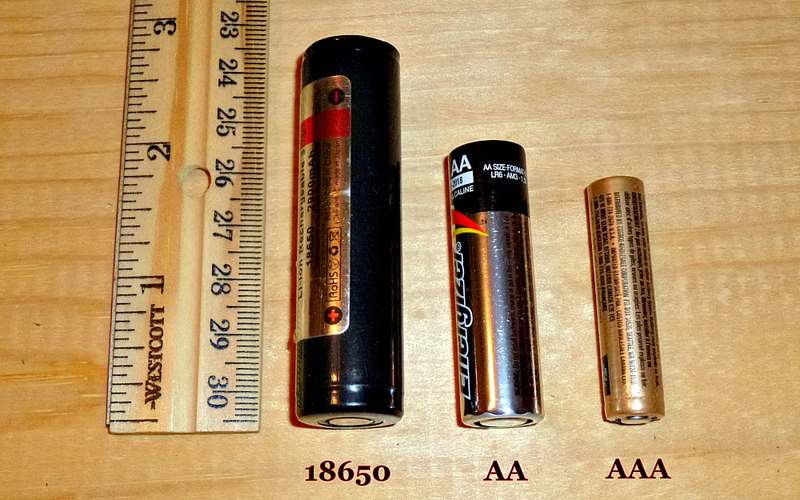 There isn’t as much variety in 18650 batteries as there is in AA batteries. 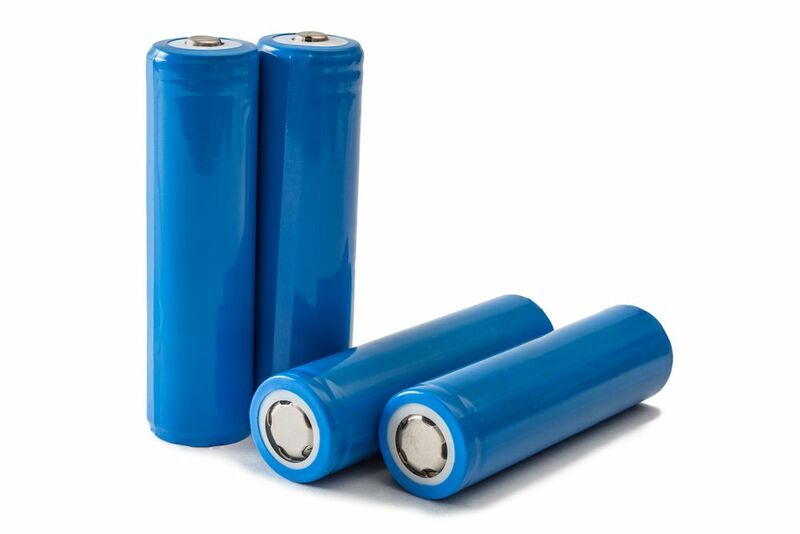 All 18650 batteries use lithium-ion rechargeable technology. AA batteries can be alkaline (non-rechargeable), lithium (non-rechargeable), nickel-metal-hydride, nickel-cadmium, or lithium-ion. The different technologies have different capacities, and there are also really inexpensive AA batteries that aren’t built as well. All 18650 batteries are really built to a high standard so you can feel comfortable with buying pretty much any brand. That’s a good thing since the big name makers of batteries don’t make 18650’s. Panasonic does but theirs tend to go mostly toward electric cars. 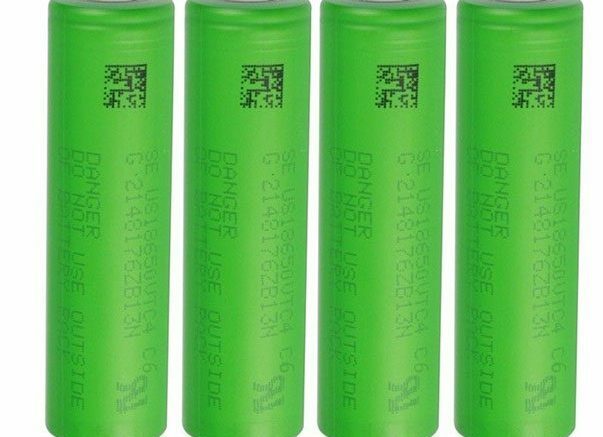 Some 18650 batteries are designed for really industrial applications but realistically, the ones you find on eBay or amazon are all going to be about the same. There are 18650 batteries with built-in protection circuits. If the battery you’re replacing says “protected” then you should replace it with another one that says “protected.” That circuit is there to stop the battery from overloading and it’s there for a reason. Other than that, if you have a flashlight or cordless phone, or anything else where you want to replace what looks like a big AA battery, feel confident no matter where you shop. And for the best electronics of all kinds, shop at Solid Signal.